Attracting all three winners of the year’s Triple Crown races for the first time since 1982, and only the second time in the Mid-Summer Derby’s storied tradition, Kentucky Derby victor Always Dreaming, Preakness Stakes winner Cloud Computing, and Belmont Stakes hero Tapwrit will step into the starting gate in the 148th running of the Grade 1, $1.25 million Travers Stakes presented by NYRA Bets on Saturday at Saratoga Race Course. Despite their lofty resumes, recent losses and an 11-week layoff for the Triple Crown winners have laid this year’s sophomore division wide open, leaving the Classic winners to overcome not only a full field of 12 but a less than favorable history of Travers matchups, as well. The last time three individual winners of the Triple Crown races faced each other, Gato Del Sol, Aloma’s Ruler, and 2-5 favorite Conquistador Cielo, the respective winners of the Derby, Preakness, and Belmont, lined up in the 1982 Travers to contend for the title of top 3-year-old, only to have their dreams of supremacy dashed by a last-to-first surge by the Ontario-bred Runaway Groom. The 1918 class didn’t fare much better against each other in that summer’s hotly contested Travers when Sun Briar, the reigning 2-year-old champion, handed defeat to Belmont winner Johren, Preakness winner War Cloud, and stablemate Exterminator, the upset winner of that year’s Derby. 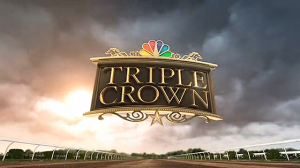 On Saturday, though, this year’s Triple Crown race winners will try to write a new, and hopefully more fruitful, chapter in Saratoga history, led by Tapwrit, installed as the tepid 7-2 favorite for his ownership group comprised of Robert LaPenta, Eclipse Thoroughbred Partners, Bridlewood Farm, Whisper Hill Farm, and Gainesway Farm. Trained by Todd Pletcher, the gray colt by Tapit will be making his first start since the Belmont, where he raced near the pace and dug in to post a two-length victory over the pacesetting Irish War Cry in the 12-furlong ‘Test of the Champion’ on June 10. Prior to the Belmont, Tapwrit was second in his season opener to McCraken in the Grade 3 Sam F. Davis in February before notching a 4 ¼-length score in the Grade 2 Tampa Bay Derby one month later. He was firmly established on the Kentucky Derby trail as the 2-1 second choice in the Blue Grass in April when he finished fifth behind the 31-1 upset winner Irap. “Everyone was in agreement that the Travers was the race for him,” said Pletcher, who won the Travers in 2005 with Flower Alley and in 2011 with Stay Thirsty.” We felt like if we ran in either the Jim Dandy or the Haskell, we’d leave a little something on the table that we wanted to save for the Travers. I think he’s been training exceptionally well and has put in some good breezes and I feel good that we have him fit enough and fresh enough to fire his ‘A’ race. Pletcher will also saddle Always Dreaming, owned by MeB Racing, Brooklyn Boyz, Teresa Viola, St. Elias, Siena Farm, and West Point Thoroughbreds, and looking to rebound from a pair of losses since his 2 ¾-length Kentucky Derby victory. The Derby was the fourth straight win for the speedy Bodemeister colt, who also won the Grade 1 Florida Derby by five lengths in his stakes debut, but two weeks after he was draped with the blanket of roses, Always Dreaming faltered in his attempt to sweep the Triple Crown, dueling for the lead through the opening stages in the Preakness, before packing it in at the top of the stretch to finish eighth. He returned two months later in a rematch with Cloud Computing in the Grade 2 Jim Dandy on July 29 where, sent off as the narrow even-money favorite, he led early over the Preakness winner before giving way late to finish third behind Good Samaritan. Tapwrit will be ridden by his regular jockey Jose Ortiz from post 4. Always Dreaming, 6-1 on the morning line, will have the services of Hall of Famer John Velazquez, who has been aboard the dark bay colt for all six of his starts in 2017; the pair will break from post 7. Like Always Dreaming, Cloud Computing is looking for redemption after a poor showing in the Jim Dandy, where he finished a dull fifth. Breaking his maiden at 3, Cloud Computing won at first asking in his February 11 debut and proved competitive in a pair of Derby preps in New York, finishing second in the Grade 3 Gotham in March and third in the Grade 2 Wood Memorial on April 8. The graded stakes placings earned the lightly raced son of Maclean’s Music enough points to make the Derby cut, but the colt’s connections opted to bypass the First Saturday in May, preferring instead to target the middle leg of the Triple Crown. In the Preakness, the Chad Brown trainee settled along the rail as Always Dreaming and Classic Empire vied for early control and launched his bid around the far turn to reel in Classic Empire and win by a head. “The track was very demanding [for the Jim Dandy],” said Brown. “This horse has never let us down in a workout or a race except that one day. [He] just didn’t come out of that race like we’ve normally seen. Since the race I’ve thought about the Travers a little bit, he’s come back and worked great twice going to the [main] track and it’s tightened up nicely and he’s ready to run his race. Cloud Computing, at 8-1 on the morning line, will be ridden from the rail by record five-time Travers winner Javier Castellano, newly inducted into the Hall of Fame. Looking to lead the charge against the Triple Crown winners is Good Samaritan, the third choice on the morning line at 5-1, who made a successful switch to dirt to play spoiler to the Derby and Preakness winners with a 4 ¾-length win in the Jim Dandy, the traditional local prep for the Travers. Only off the board once in six tries on the turf for owners WinStar Farm, Head of Plains Partners, China Horse Club, and SF Racing Group and Hall of Fame trainer Bill Mott, the Harlan’s Holiday colt changed to the main track following a fourth-place finish in the Grade 1 Belmont Derby and earned his first victory since the Grade 2 Summer last summer at Woodbine. Joel Rosario has the return call aboard Good Samaritan, set to break from post 5. 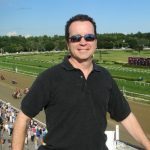 At 10-1 for the Travers, Brad Grady’s Girvin will try to duplicate his winning effort in the Grade 1 Haskell Invitational on July 30, the Tale of Ekati colt’s first victory since posting back-to-back Derby prep wins this spring. Girvin was still recovering from a quarter crack when he finished 13th in the Kentucky Derby. He finished second to Irap in the Grade 3 Ohio Derby as the 4-5 favorite in his comeback race before running down McCraken in the final stages of the Haskell to win by a nose. Girvin will be ridden by Robby Albarado from post 6. Prior to the Haskell, McCraken rebounded from an eighth-place finish in the Kentucky Derby with a 2 ¼-length victory in the Grade 3 Matt Winn in June at Churchill Downs for trainer Ian Wilkes. A homebred son of Hall of Famer Ghostzapper, the Whitham Thoroughbred color bearer was undefeated in three starts as a 2-year-old, including a 1 ¼-length win in the Grade 2 Kentucky Jockey Club. He carried his win streak into his 3-year-old seasonal debut in the Grade 3 Sam F. Davis at Tampa Bay Downs in February before a minor injury pushed his next start back nearly two months, eventually marking his return with a third-place finish in the Grade 2 Blue Grass on April 8. McCraken, 12-1, will break from post 9 with Brian Hernandez, Jr. in the irons. This year’s Travers field includes a talented pair of California invaders led by Gary and Mary West’s West Coast from the Hall of Fame barn of Bob Baffert, who sent the then-unknown Arrogate to a record-breaking victory in last year’s Travers en route to eventual 3-year-old champion honors. By Flatter, West Coast brings a three-race win streak into his first Grade 1 event and hasn’t been worse than second in six career starts, including an impressive 2 ¾-length victory in the Grade 3 Los Alamitos Derby on July 15. Tabbed as the 4-1 second choice, West Coast will leave from post 3 with Hall of Famer Mike Smith in the irons. 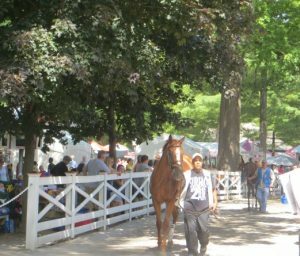 Reddam Racing and Doug O’Neill will be represented by Irap as their first Travers starter. Since his 31-1 upset of the Blue Grass, the son of Tiznow has developed into a bona fide graded stakes contender, putting together back-to-back Grade 3 victories since finishing a troubled 18th in the Grade 1 Kentucky Derby on May 6. Irap, 8-1, will be ridden by Mario Gutierrez from post 10. Winner of the Grade 2 Fountain of Youth in February, Margoth’s Gunnevera will shoot to build on his five-length win in the Tangelo on August 6, the Antonio Sano trainee’s first race since finishing seventh in the Kentucky Derby and fifth in the Preakness this spring. At 20-1, the Dialed In colt will be ridden by Edgard Zayas from post 11. Mossarosa’s Jim Dandy runner-up Giuseppe the Great will try for his first stakes win after a pair of Grade 2 placings this year for Hall of Fame trainer Nick Zito. Installed at 20-1, the Lookin At Lucky colt will be ridden by Tyler Gaffalione from post 2. Rounding out the field are L and N Racing’s Kentucky Derby runner-up Lookin At Lee, third last time out for Hall of Famer Steve Asmussen and Shadwell Stable’s regally-bred Fayeq, taking a big step up in class to make his stakes debut for trainer Kiaran McLaughlin. A half-brother to Hall of Fame mare Rachel Alexandra, the Malibu Moon colt was a game winner of a 1 1/8-mile allowance on July 26 at the Spa, having already faced stakes-like competition, finishing third in his debut behind graded stakes winner Timeline at Gulfstream and misssecond by a half-length to fellow Travers entrant Giuseppe the Great. Fayeq, at 30-1 odds, will be ridden by Luis Saez from the outside.